While designed with families in mind, Start with a Book also works wherever there are kids and caring adults. 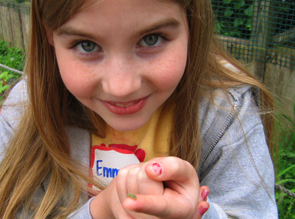 Camps, summer learning programs, libraries and other local organizations working with kids in kindergarten through third grade can use these free resources to ward off the learning loss that many children experience over the summer. How Can I Use Start with a Book? Many summer programs set aside time in the day for read alouds, silent reading, writing and hands-on activities that stretch the imagination, build problem-solving skills, and help strengthen a child's vocabulary and knowledge of the world. 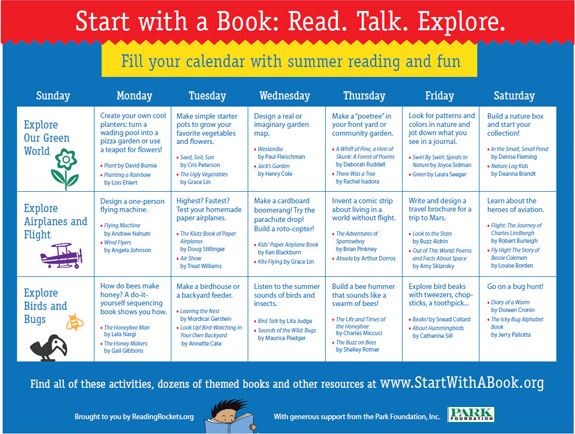 Here are some ways you can use Start with a Book in your program. 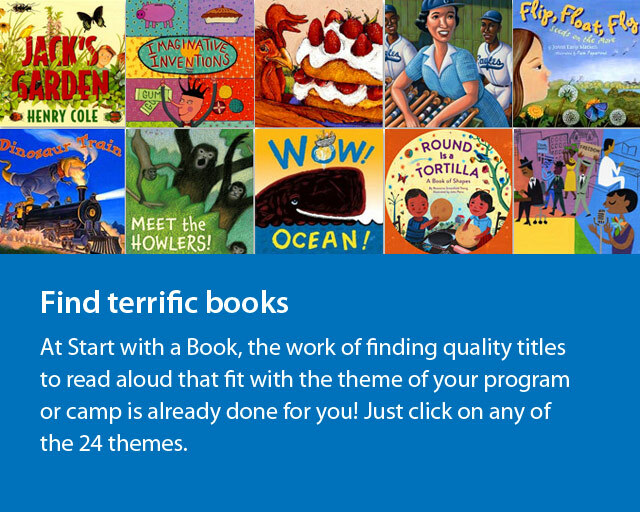 At Start with a Book, the work of finding quality titles to read aloud that fit with the theme of your program or camp is already done for you! 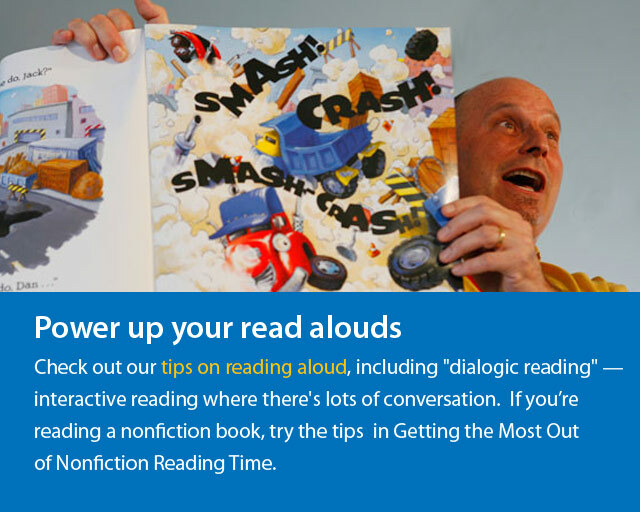 Check out our tips on reading aloud, including "dialogic reading" — interactive reading where there's lots of conversation. 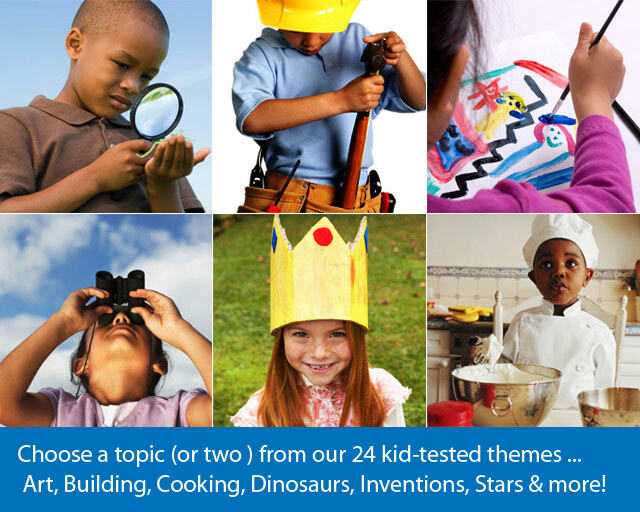 Each of the 24 themes featured on Start with a Book includes a wealth of hands-on activities to do with kids. 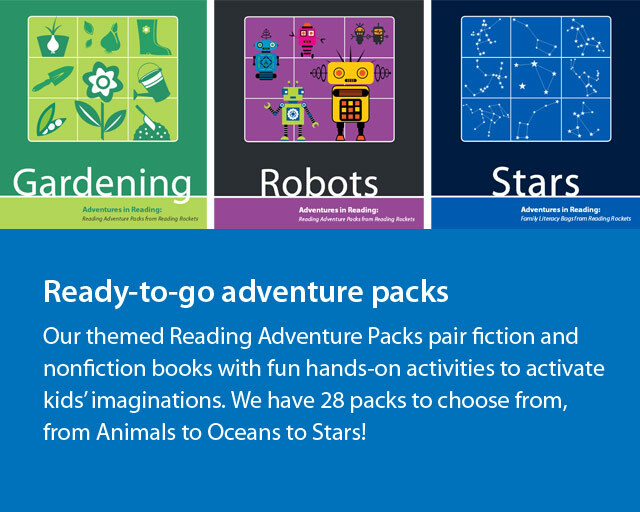 And our Reading Adventure Packs supply everything you need (except the books) to spark kids’ curiosity and creativity. If your program has access to technology, use it to get kids excited about a topic and learn more about it. Start with a Book has suggestions and links for videos to watch, websites to explore and apps to try. If you live in the Washington, DC, area each theme features related things to do and places to go to explore the city and its museums, zoos, parks, festivals, and more. Take advantage of your public library. The library is a great free resource for books but can also offer much more, including events, giveaways and access to technology. 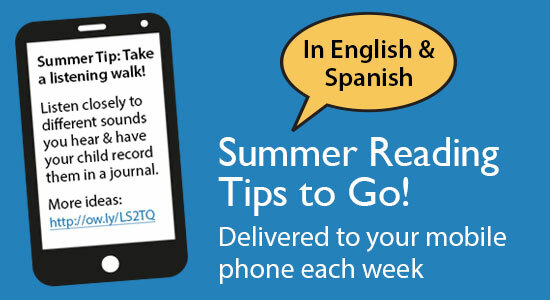 If you are a summer program in a library, these librarians have some great ideas for how to use Start with a Book. 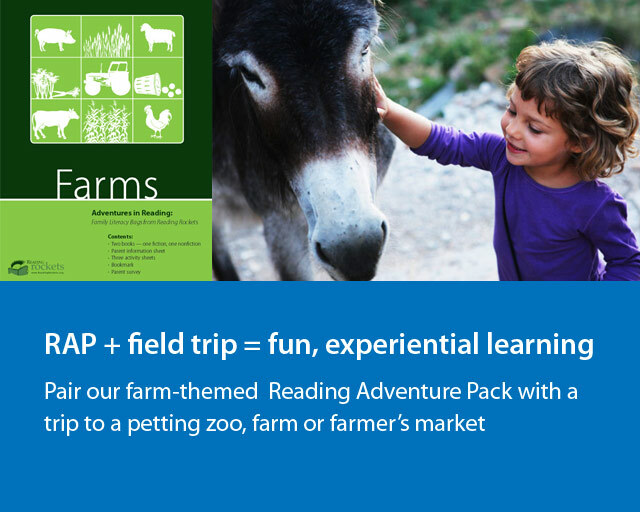 Pair your field trip with our Reading Adventure Packs (RAPs). 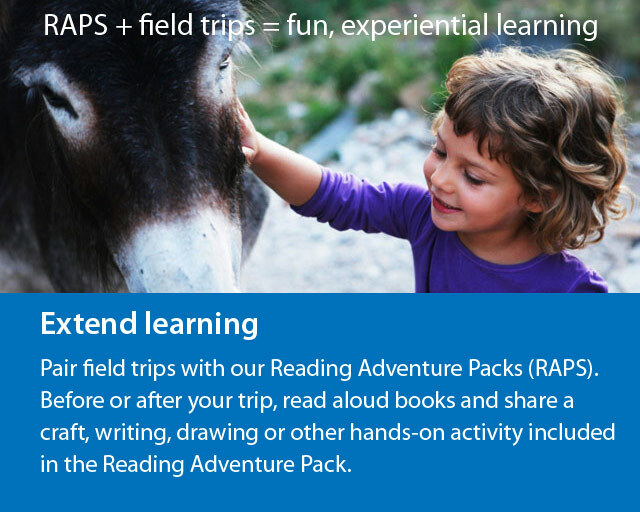 Before or after your trip, read aloud books and share a craft, writing, drawing or other hands-on activity included in the Reading Adventure Pack. 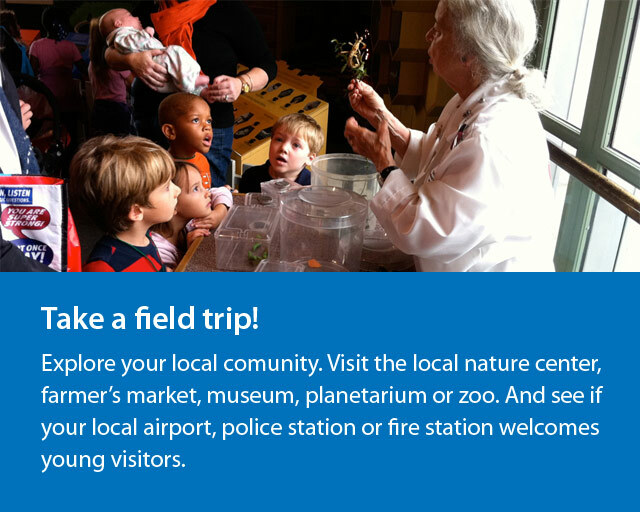 Below are some of our suggestions for how to combine the RAPs with local field trips. 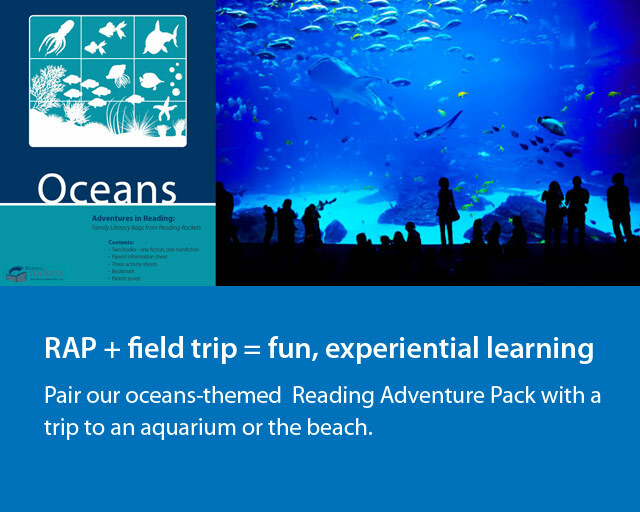 Use Start with a Book to take a virtual field trip. 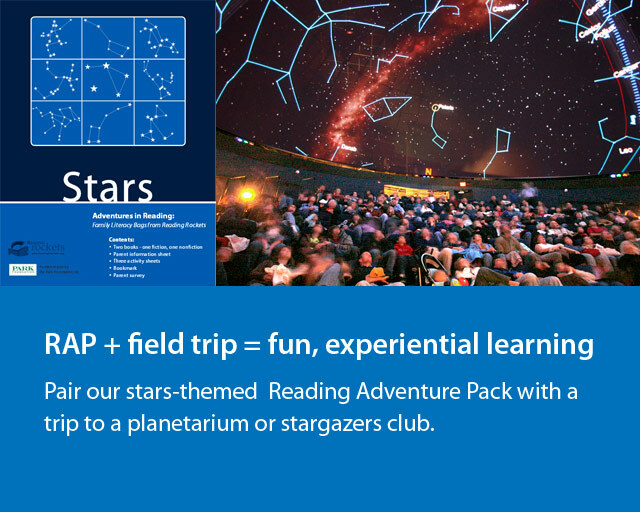 Let's say the kids in your program are interested in stars and outer space. 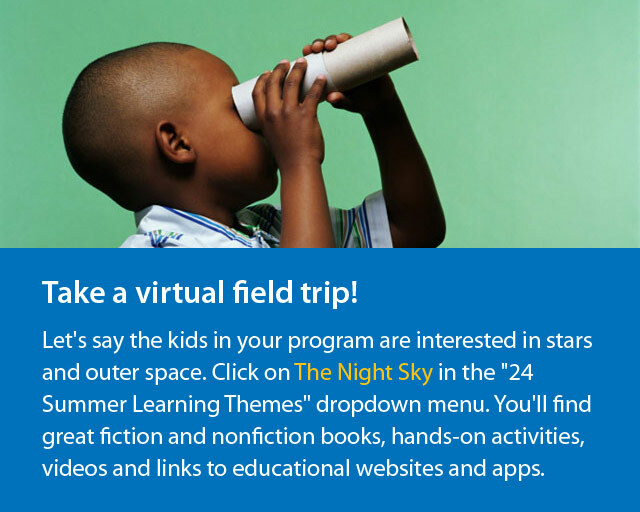 Start with a click on The Night Sky in the "24 Summer Learning Themes" dropdown menu. 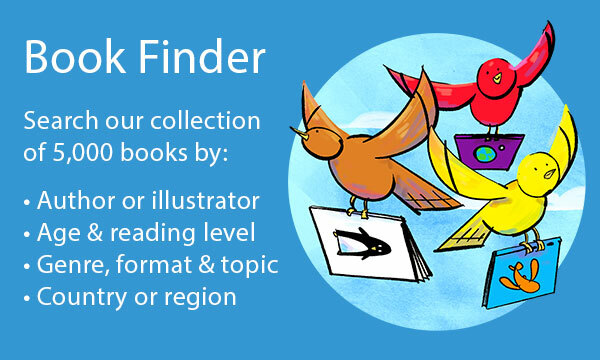 You'll find a page full of great fiction and nonfiction titles, hands-on activities, videos, links to educational websites and apps with related content. "Even though the stars come out at night, we can still explore the stars together during the day!" Read all about stars. Recommended fiction and nonfiction titles are broken into age groups to help you find appropriate titles. 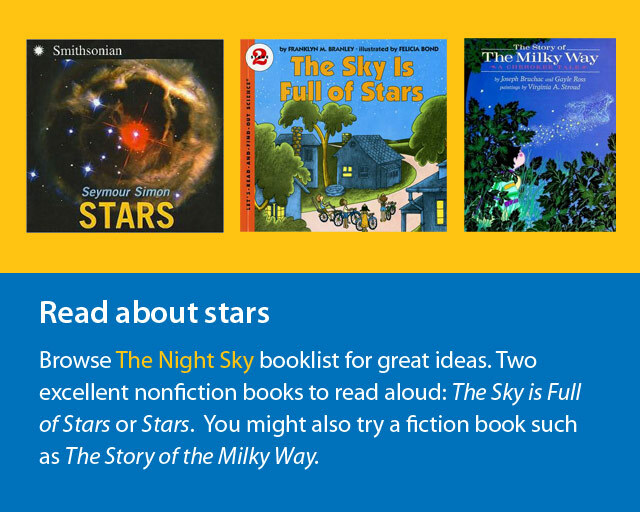 Two excellent nonfiction books to read aloud: Stars by Seymour Simon and The Sky is Full of Stars by Franklyn Branley. 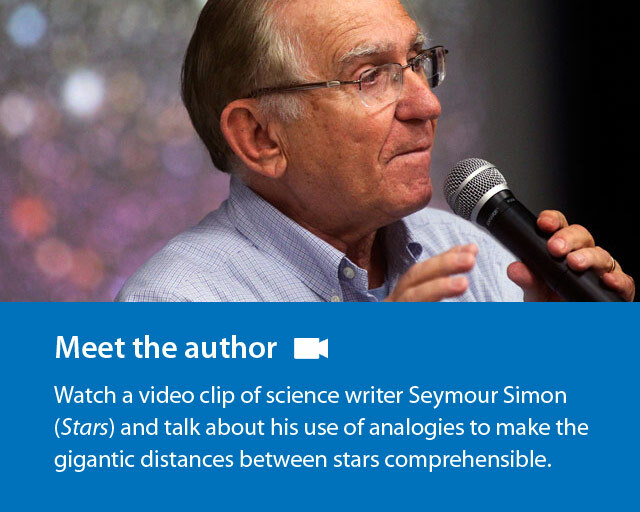 Watch a video clip of author Seymour Simon and talk about his use of analogies to make the gigantic distances between stars comprehensible. 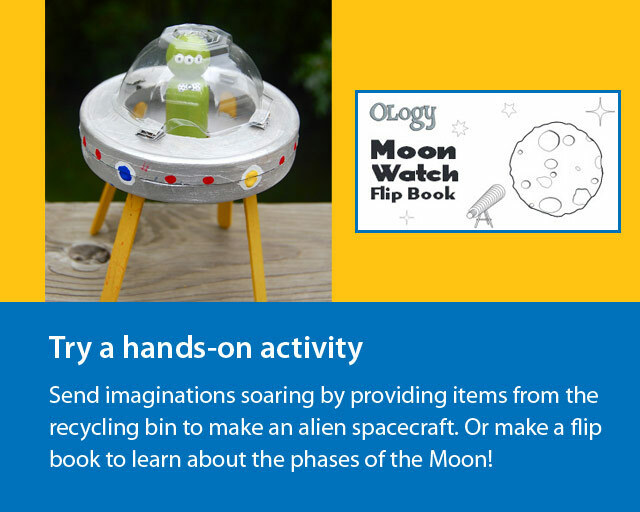 Send imaginations soaring by providing items from the recycling bin to make an alien spacecraft. Learn more about the night sky online. 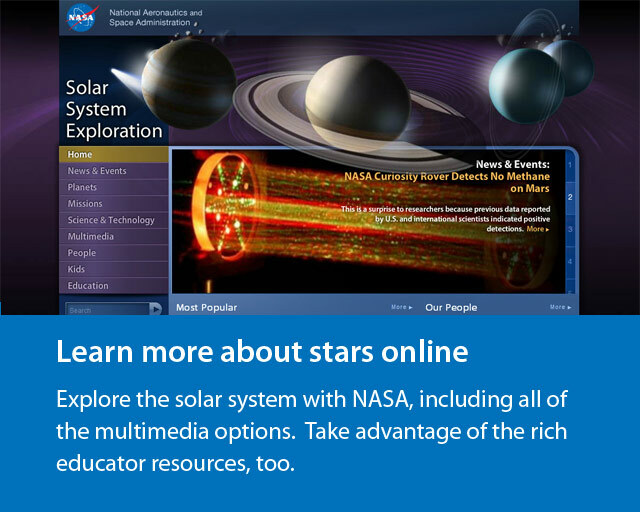 Explore the solar system with NASA and share multimedia resources or take advantage of their educator resources. 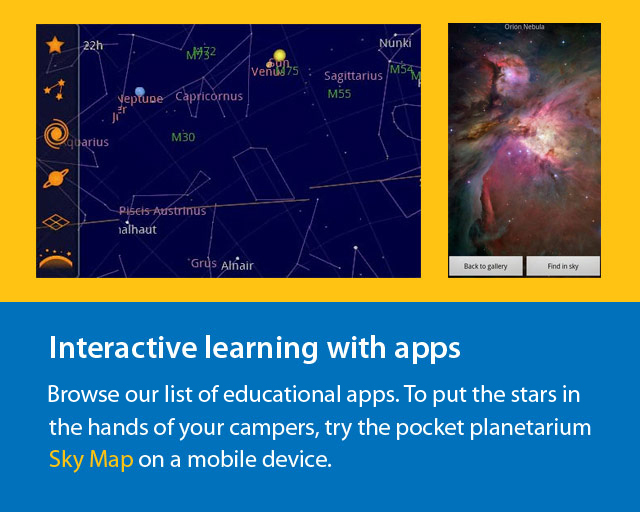 Use the pocket planetarium tool Sky Map on a mobile device to put the stars in the hands of your campers. 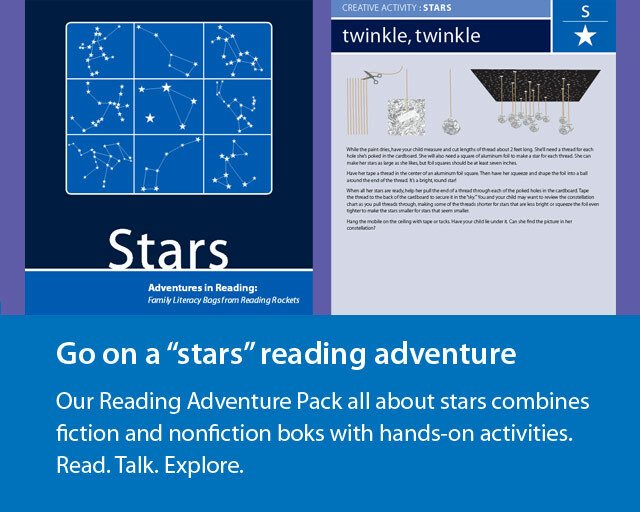 Find more cool activities in our Reading Adventure Pack on Stars. Links to all of these resources can be found right here on Start with a Book! Help parents make the most of time at home with their children. Connect them to resources that encourage conversation and learning fun. 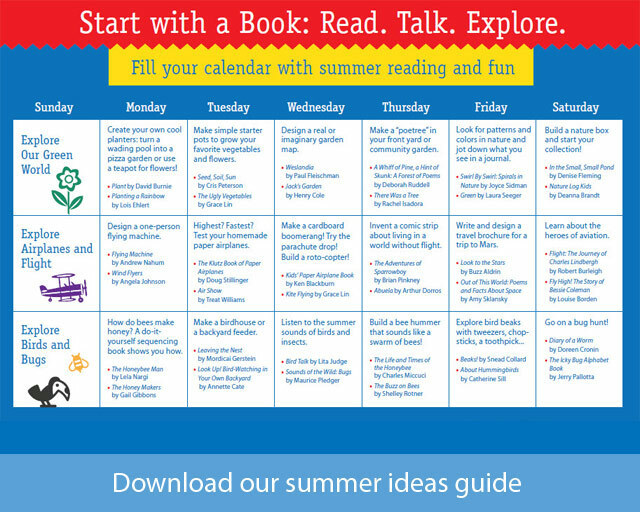 Print and distribute the Start with a Book Informational Flyer and the Start with a Book Summer Ideas Guide Calendar. 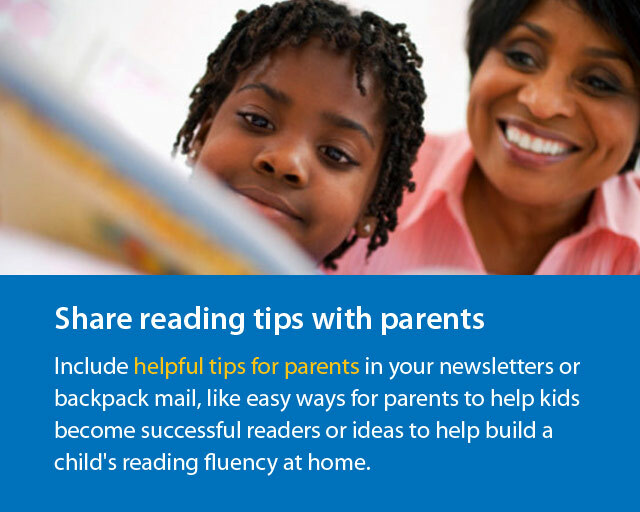 Include helpful tips for parents in your newsletters or backpack mail, like easy ways for parents to help kids become successful readers or ideas to help build a child's reading fluency at home. 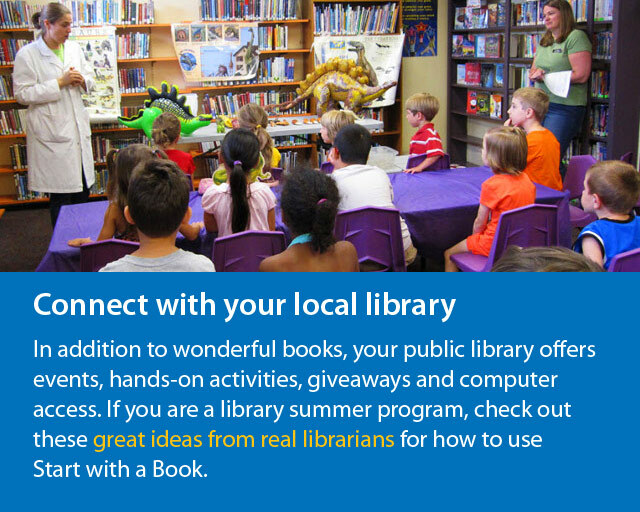 Use email or your program’s blog or website to point parents to the themed booklists at Start with a Book and encourage them to take advantage of the public library. 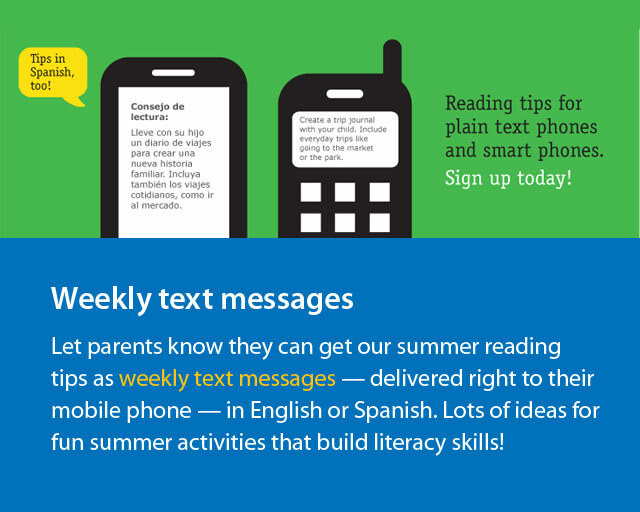 Let parents know they can get free summer reading tips as weekly text messages — delivered right to their mobile phone — in English or Spanish. Stephanie Berman, program manager at The Reading Connection in Arlington, VA, talks about why reading aloud to your kids every day — even for just 10 or 15 minutes — is so important. 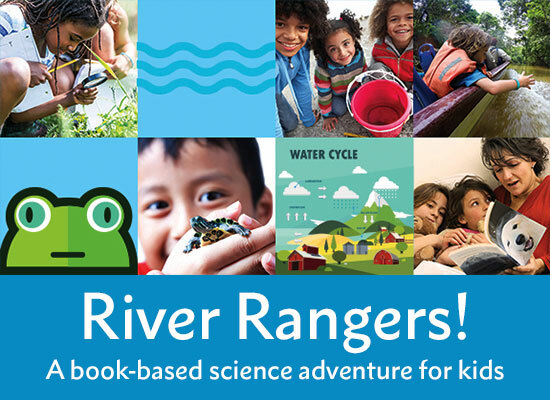 You'll also discover simple read aloud tips and fun ways to introduce your child to more nonfiction.